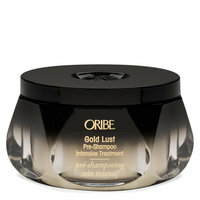 Apply throughout damp hair as a pre-shampoo or overnight treatment. Use on damp hair before blow-drying for heat protection or apply to dry hair for extra luster, conditioning and frizz control. Use on dry hair before going in the sun for protection. 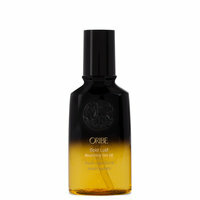 Very nice treatment oil if you use enough. I got the smaller bottle to try as I could not find enough reviews to justify this purchase. Packaging: doesn't come with a dispenser, I had to pour the oil on to my hands. Scent: there is a nice non-offensive scent but disappears rather quickly. Texture: a little runny, but not watery, feels more like a dry oil than a heavy oil or sticky serum. Follow instructions and apply on damp hair, it absorbs very quickly and doesn't leave any residue on my hands. Doesn't work well on dry hair. Results: hair is smooth, soft and frizz free, doesn't make my hair sticky or clumpy. One star was removed because I had to use like 5 pumps on my long, not-so-thick, processed, frizzy hair and the packaging. I've been using this product since 2014, when I first got my hair bleached. I'm lightened to a level 9 and have curly & thick hair. This is the one of the few products that keeps my hair feeling healthy as close to normal as it can get, AND it doesn't clog my pores. For reference, I co-wash once a week & shampoo every 2-3 weeks, depending on how heavy my hair feels. This hair oil helps keep my curls smooth post-wash days without weighing it down like a lot of other products. It is well worth the cost. I got this in a Mystery Box and decided to give it a try. I have straight hair that often gets dry at the ends but I never think much about it. Until now. I'm so surprised how much this has helped my ends! My hair is so soft and feels so conditioned but not weighed down at all and still keeps a lot of body. I haven't changed anything else about my routine, so I know it's this stuff. I run 2-3 pumps through my damp hair after a shower and let it air dry. I've never taken the best care of my hair before but this has changed my mind. Will definitely repurchase again after it runs out. I'm now a convert to hair oil. It really works. Best texture/most nourishing hair oil I've found! I've been using this oil continuously for over a year and I have yet to find a product that performs better than this hair oil. What I love about it the most is the texture as it is on the dry side, allowing the oil to soak in effortlessly. 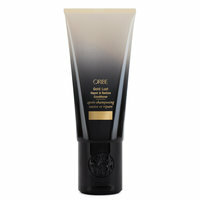 The result is perfectly nourished hair with a non-greasy finish. I have dark brown hair that has been bleached more times than I can count and this oil gives me the the hair much needed life! The normal texture of my hair is dry and damaged due to the color processing I have put my hair through. I use this oil on dried hair with or without styling as it generally improves the condition of my hair. This oil can be used on damp or dried hair. I have used it both ways and found the results to be the best I have gotten from any hair oil. 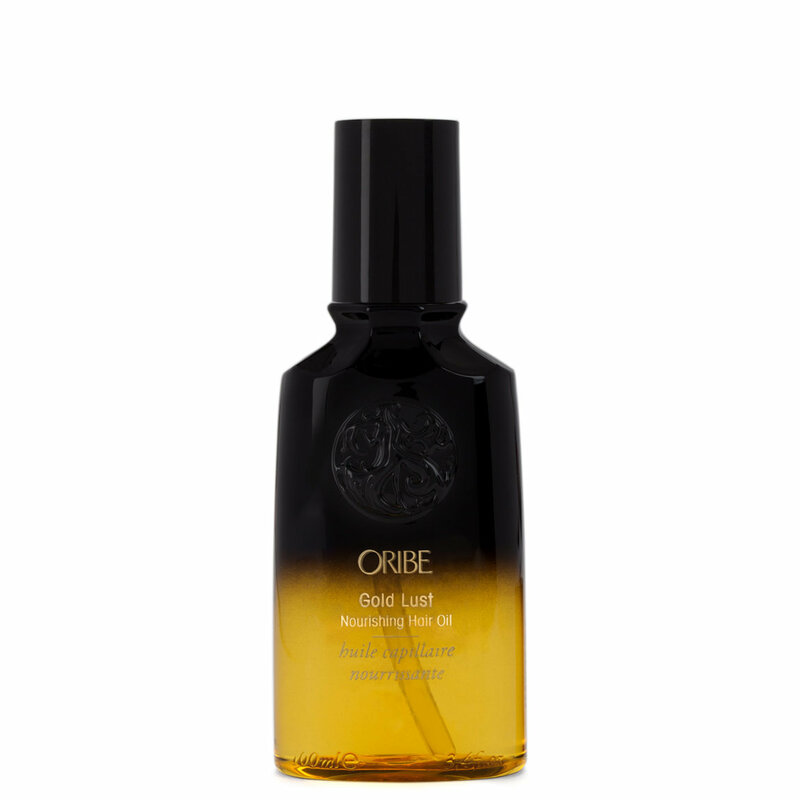 The blend contains argan oil, shea butter and murumuru seed butter so it is quite nourishing. It gives the hair more softness, slip and sheen than if I go without it. I cannot recommend this product enough and will keep purchasing as it is a necessary part of my routine. 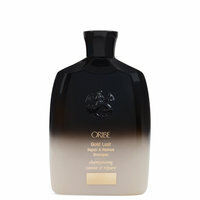 I have even purchased a bottle for my mom and she loves it as well. So this is a serum but what an amazing serum it is! My bleached hair is soft, lays so beautifully, and feels like virgin hair. This product is something I was skeptical about but now I can’t live without it. Only one pump is all I need for my hair that hits the middle of my back. I didn’t use it the other day and noticed a big difference in my hair.